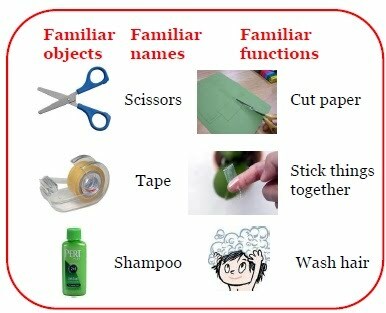 Children are known to use various learning biases to efficiently develop their language skills. Prior studies have confirmed that young children keep track of reliability histories of possible teachers in order to selectively learn words. Furthermore, it has been shown that they are less likely to learn from foreign language speakers or foreign names of objects. Recent studies even indicated that children seem to change their patterns of learning just by hearing the cultural background of the target objects. The purpose of this thesis is to investigate the cultural bias in word learning among 2- to 3-year-olds. 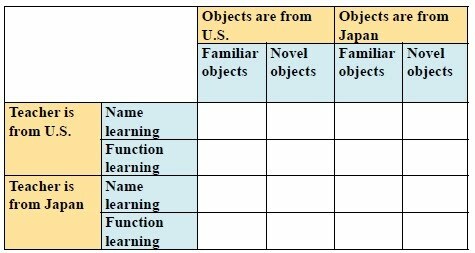 We hypothesized that children would be less likely to learn object names and functions when they were told those objects and/or the teacher were from another country. 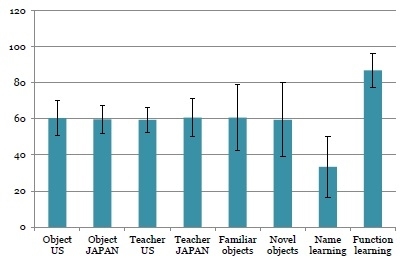 The result of the experiment showed no evidence to support this hypothesis; however, we found that participants performed very poorly in the novel word learning task, yet very well on the novel function learning task. Possible reasons for these findings are discussed. When children are explicitly expressed speaker’s knowledge or ignorance, they learn better from knowledgeable speakers. Even when they are implicitly expressed speaker’s knowledge or ignorance, they learn better from knowledgeable speakers. To extend our understanding of the relationship between learning and a culture in children’s language development. How does the information about the cultural background of a teacher or of target objects would influence word learning by young children? When they are told the objects are from their own linguistic community than from a different linguistic community. Fourteen 2- and 3- year olds. They learned well (86.9 % accuracy) regardless of the familiarity. →they seem to gradually develop the skills as they grow. Why? 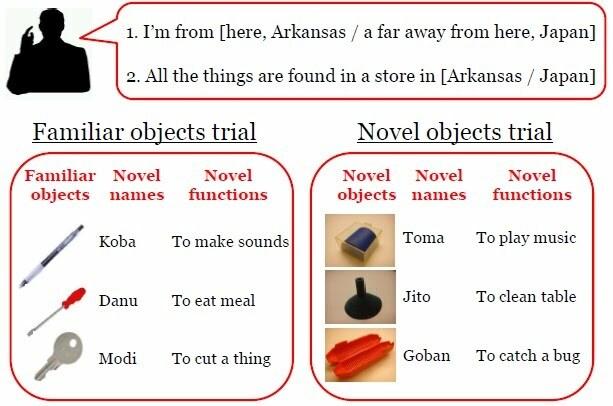 Logical inference based on better understanding of the nature of words-objects relationship is required? →Why? No need for memorization? More fun?